What’s the key to true authenticity in the workplace? Why is appreciation more important than recognition in keeping employees engaged? 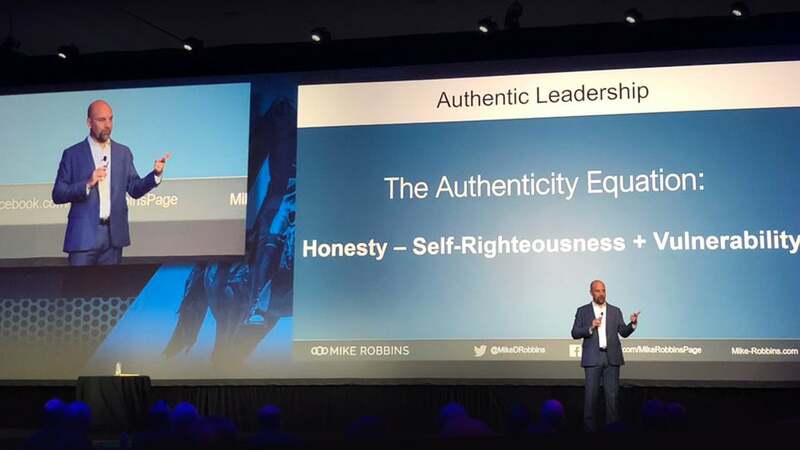 Leadership and teamwork expert Mike Robbins has answered these questions and many others in keynotes and coaching sessions at elite companies, from Google to the National Basketball Association. 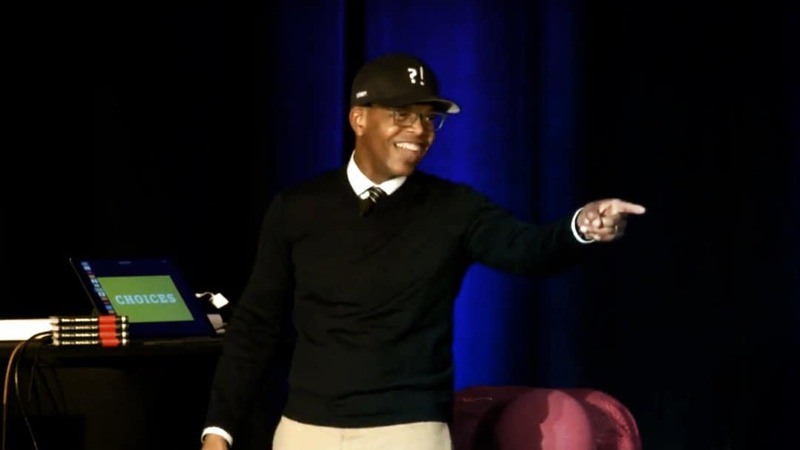 He’s also authored four books, most recently Bring Your Whole Self to Work, in which he draws from his experiences and key survey data to examine how growth mindset, appreciation, authenticity, and emotional intelligence help create effective, supportive teams. 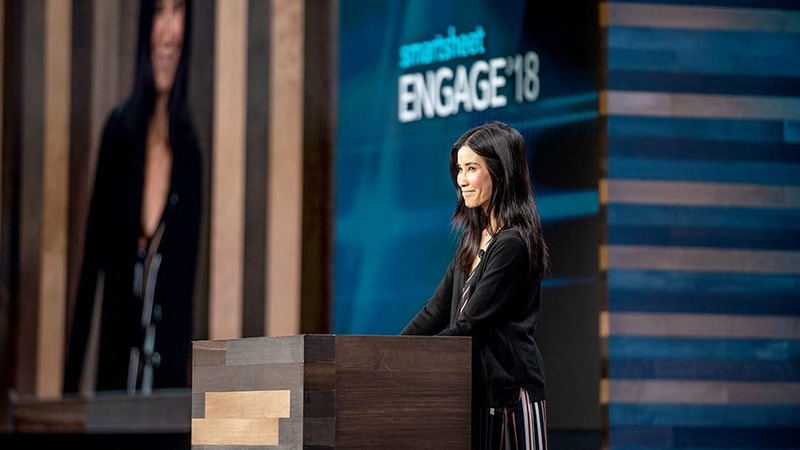 After delivering an inspirational keynote to Smartsheet employees, Robbins and I chatted about how companies can evolve their culture to produce happier, more engaged employees. 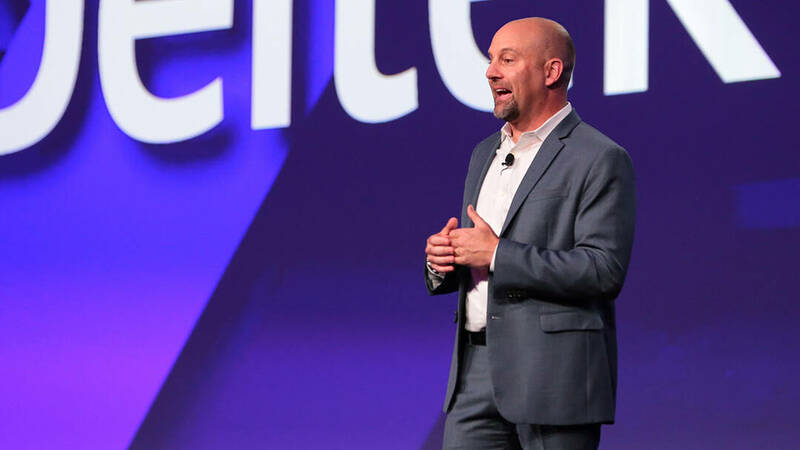 Stephen Danos: During your talk at Smartsheet, you said that “We seek and fear change at the same time.” How can we take advantage of that mental state to move forward? Mike Robbins: It's important just to realize that, emotionally, change is complicated because we seek it and fear it. Managers and leaders need to understand that, depending on your level within the organization, you typically get information sooner and have a way of integrating the change. This might not always be the case, but you must move through the information a bit quicker than the people you manage. So you have to be compassionate and empathetic to their experience. They may be a day or a week or a month or even further behind you in terms of getting the information. I’ve worked with managers and leaders at companies of all sizes. When it comes to change, many must work through their own process first, and then help lead their team through it. If you have less information and are in a place of uncertainty, you might imagine worst-case scenarios. And effective managers and leaders need to listen to their team’s concerns, be transparent, and share information when they are allowed to do so. Can Automation Improve Employee Engagement? SD: In a recent study, Conference Board researchers found that 40 percent of managers identified emotional intelligence and self-awareness as the most important factors influencing whether an employee takes responsibility for their own engagement at work. Who do you think is most responsible for creating an engaging culture? MR: Quite frankly, everyone’s responsible. I do think the CEO and the senior/executive leadership team has a responsibility of setting the tone. Depending on the size and values of the organization, most employees don't have a lot of direct access to the most senior leaders, unless the company is very small. "Even a company that has hundreds of thousands of employees is made up of individuals, right? Your company can have the greatest vision, mission statement, and core values in the world, but the culture is really a responsibility everybody should share." As an individual, you should ask yourself: How do I show up at work every day? How do I engage with the people that I interact with? What's my mindset approach? So everyone at the company, from senior leaders to managers to individual contributors, is responsible for building a culture where employees feel engaged. When I work with companies that operate under this assumption, there's a good chance the culture is really strong. Remember, culture changes as companies grow and evolve. You should also account for differences in location, regions, and countries, and even the work culture differences between your teams in engineering, sales, product, marketing, and all other departments. SD: What tips do you have for business leaders trying to evolve their company culture during a period of growth? MR: By nature, growth is uncomfortable and creates vulnerability. While it’s positive for a company to grow, there will be growing pains. What matters is how the company’s leaders define vulnerability from the outset. One definition that I learned (and reference often) from Brené Brown is that vulnerability is a combination of risk, emotional exposure, and uncertainty. Growth periods generate uncertainty for the company and there’s some risk for individuals in the company. Maybe their role is changing, or the company is building out their engineering and customer success teams, but not bringing aboard new marketing hires, for instance. Additionally, it’s key to understand that if we evolve the culture as the company grows, that doesn’t necessarily mean trying to keep it the same. I see this a lot from startups that go into a growth phase. The people who've been around for a while might say, "Oh, it used to be so much better, and now we're getting so corporate…” And that makes sense. The differences are clear if you start as employee number 200, then watch the company balloon to 500 people, then to 1,000 people, and beyond. When you start operating at a different scale, you can't operate the same way, but you can keep your core tenets as a baseline and evolve them as needed. I recently spoke on the phone with a CEO of a company that has grown substantially over the last three years. He asked me (because I’ve attended some of their events and meetings) what I had anecdotally heard and experienced from his employees about the changes. It’s important for leaders to seek feedback from outside perspectives, because it’s challenging to see changes in the day-to-day lives of employees. When you’re operating in a tech company that’s undergone substantial growth, you might not see all of its evolution as it unfolds. SD: What role does appreciation play in company cultures, and what are some potential barriers that team members might have to overcome when trying to be more appreciative of each other? MR: One potential hurdle is failing to see the distinction between recognition, which is about performance and outcome, and appreciation, which is more about people and their value. "Most companies focus on the outcomes, or the results that individuals and teams produce. We over-index on recognition and under-index on appreciation." Most managers think appreciation is the same as recognizing those performance-based achievements. While this is really important, it’s equally important to build strong relationships, psychological safety, and positive culture on a daily basis. Employees need to feel truly valued, seen, heard, and have a sense of belonging. They need to know they're cared about by the people that they work with directly. Another hurdle is that appreciation can sometimes seem inefficient, despite making an impact on people’s lives. Professionally we’re all busy, which can lead to appreciation being deprioritized since we all respond to deadlines, hitting our goals, and getting through agendas. But appreciation is memorable and builds connections between colleagues. You can just check in with your coworkers, make genuine eye contact, ask how they're doing both personally and professionally, and really listen for the answer. Ultimately, the more appreciated people feel, the safer it is for us to be authentic with each other.